Looking for a Used Shelby GT500 in your area? CarGurus has 414 nationwide Shelby GT500 listings starting at $18,488. If fifty percent of success is showing up, you have to wonder what percentage is reserved for being the only one to apply for the job. 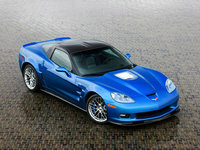 The ultra ponycar competition is sparse lately with Chevy deciding against producing its Z28 Camaro, leaving room for vehicles like the 2010 Ford Shelby GT500 to show off a bit and stretch their legs. And so, it has. This year’s GT500 has been pushed, poked, prodded, and improved enough to leave a lot of people wondering what the KR in last year’s GT500KR stood for, because “King of the Road” isn’t so clear a title anymore. First of all, the GT500 boasts the same power output as the KR - 540 hp and 510 lb-ft of torque, thanks to knock sensors that allow timing advances and a cold-air induction system that accounts for the relocation of the Cobra insignia in the grille. Taller fifth and sixth gears, together with a 3.55 final drive ratio mean both better acceleration and improved fuel economy, now sitting at 14/22 mpg. Clutch pedal effort has also been reduced due to a 35mm increase in the twin disk clutch, now measuring 250mm. Secondly, the steering, suspension, and handling have now received the attention that the KR never had the time to receive. With almost 58% of its weight supported by the front tires, it may be surprising to hear that the front springs are softer than the KR’s, and the anti-roll bar likewise isn’t as stiff, but they’re stiffer than in the previous GT500 and produce a better ride with less understeer than in the KR. Dampers are stiffer up front as well, with reengineered response curves, and it seems that Ford was listening to complaints regarding the KR’s steering, as the steering-column isolator and intermediate shaft have been stiffened so drivers can feel more of the road. A redesigned power-steering-assist torsion bar makes the whole system even more sensitive, further improving the response of the beast up front. For the rear, springs are equal in stiffness to the KR's, representing a 7% increase over the outgoing GT500's, and they work in concert with the 43-inch Panhard rod, the same rear suspension technology that has always made the Mustang a bit - eccentric. Unique tires front and back round out the package, allowing the tuning of the entire suspension as a system, which has greatly improved the ride and handling of the new GT500 over the KR's, something that has surprised a lot of reviewers. Ford claims a 0-60 time of 4.3 seconds, although testers have had a bit of trouble matching that number, apparently explained away by cooler and wetter spring conditions. Regardless, it looks like Ford has done a good job of learning that any job worth doing is worth doing well, and that six months wasn’t enough for the development of the KR. Get ready to revel in the results of a lesson learned. What's your take on the 2010 Ford Shelby GT500? Users ranked 2010 Ford Shelby GT500 against other cars which they drove/owned. Each ranking was based on 9 categories. Here is the summary of top rankings. 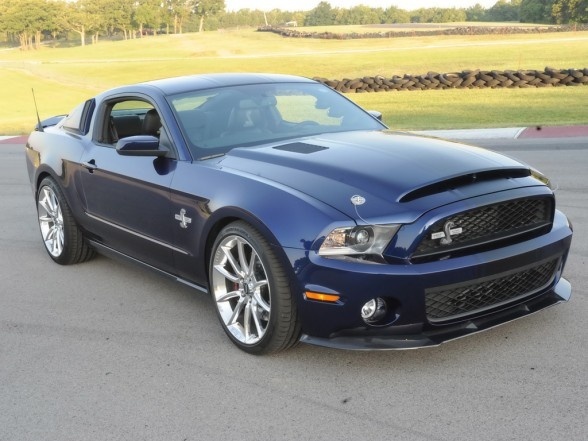 Have you driven a 2010 Ford Shelby GT500? How Much Base Hp Does The 2010 Shelby GT500 Have? The 2010 Ford Shelby GT500; Is It Better Looking Than The '09?